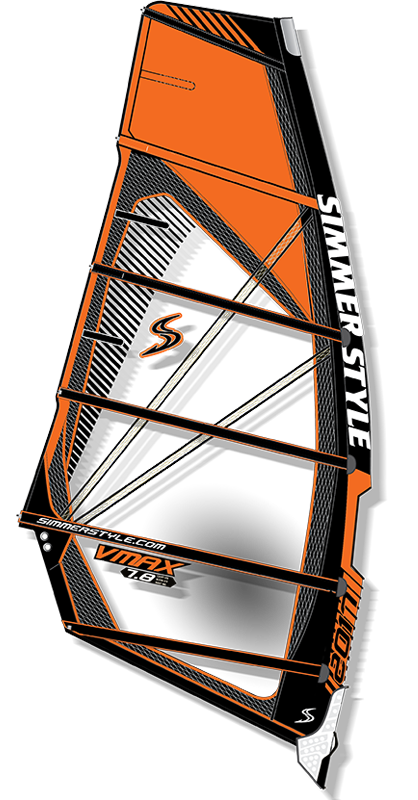 V-Max is a powerful 6 batten freerace sail which is easy to get going, even with a smaller sail in less wind. 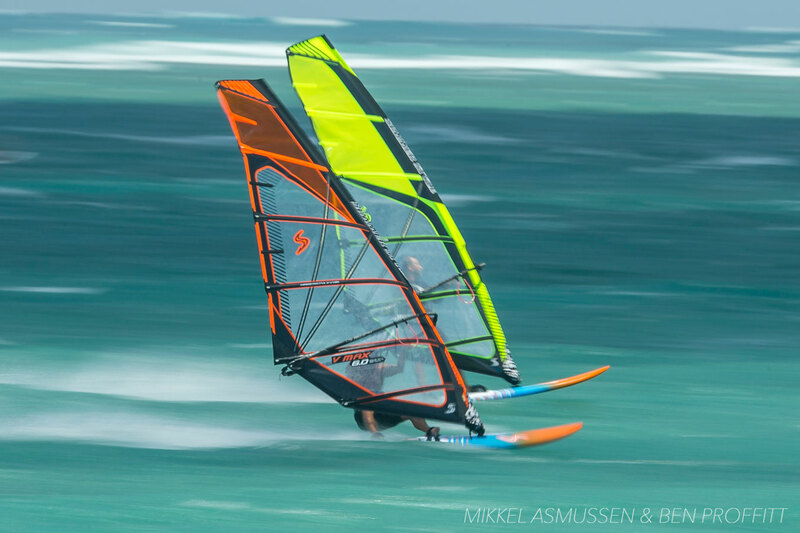 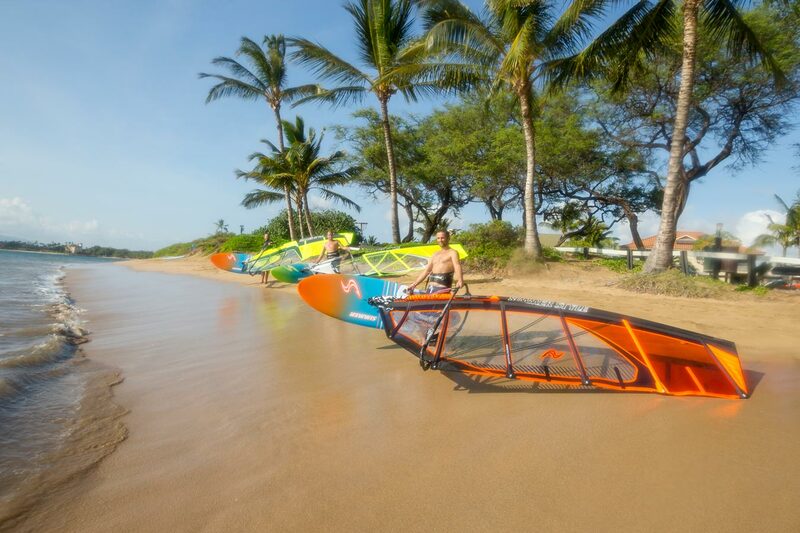 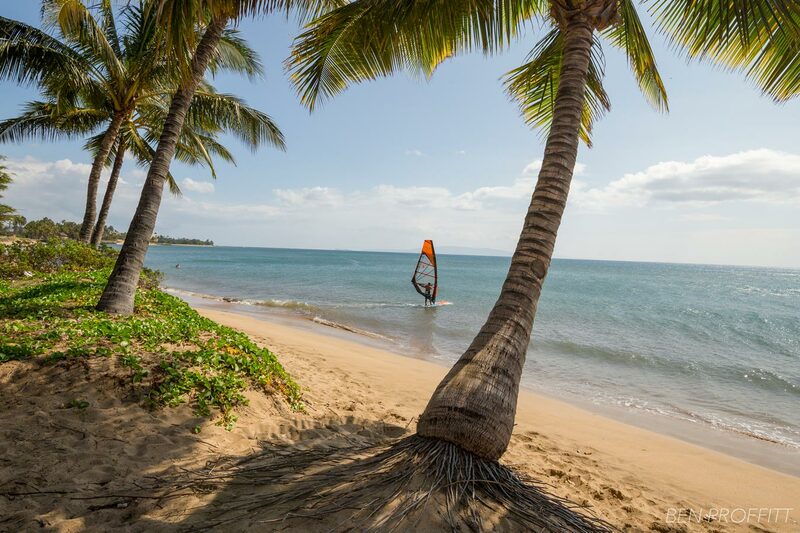 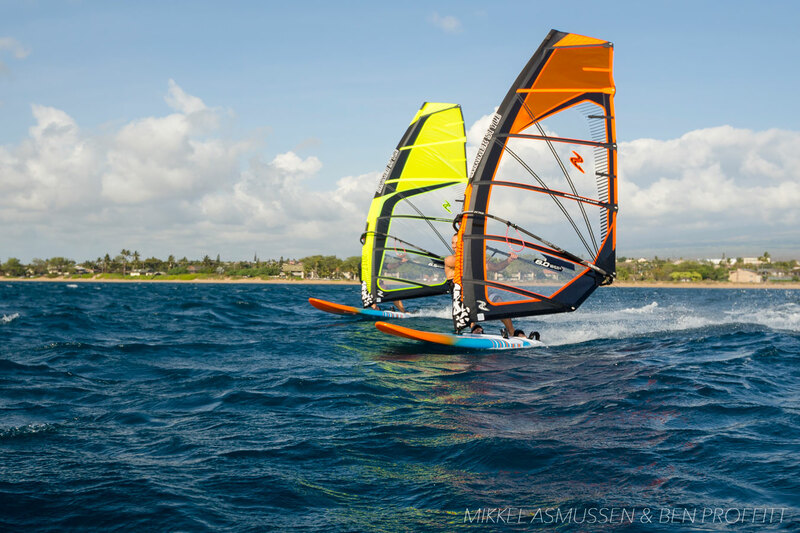 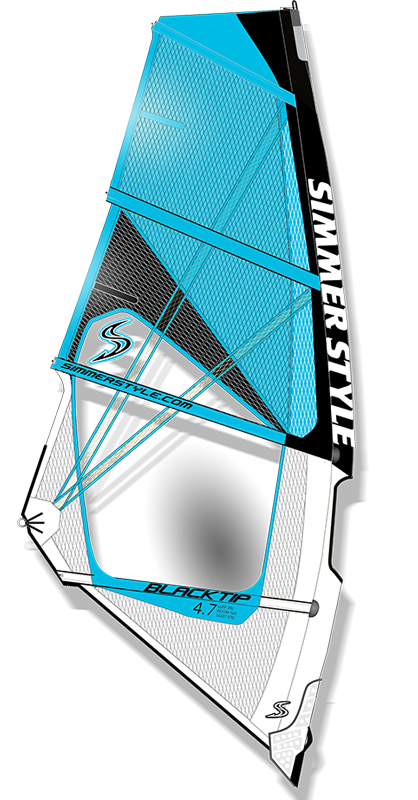 With a light-weight construction and a full sail profile, the V-Max appeals to the freeride sailor who wants to maximize the enjoyment of planing without needing to work for it. 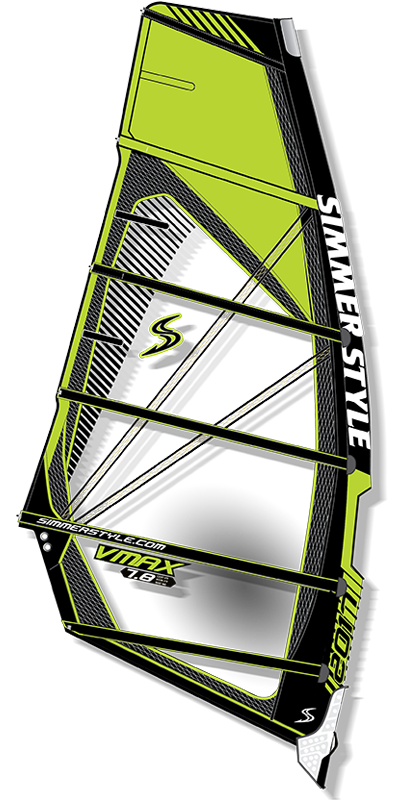 V-Max offers quick and simple rigging, great low-end power and easy on-water handling. 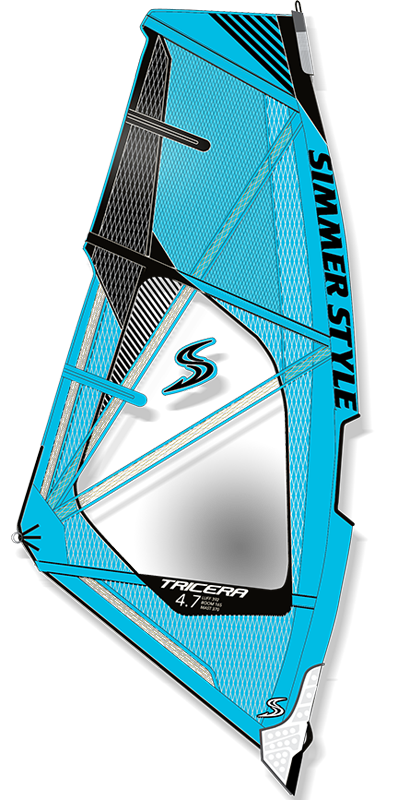 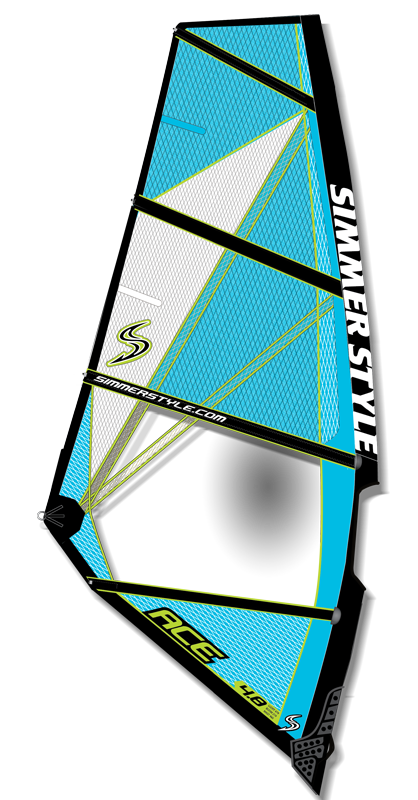 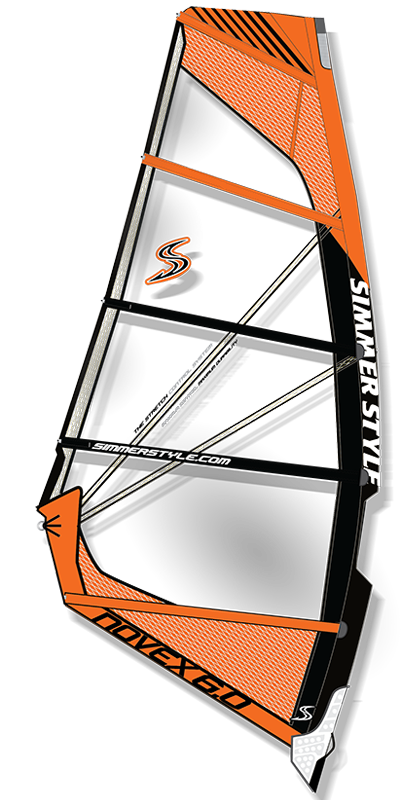 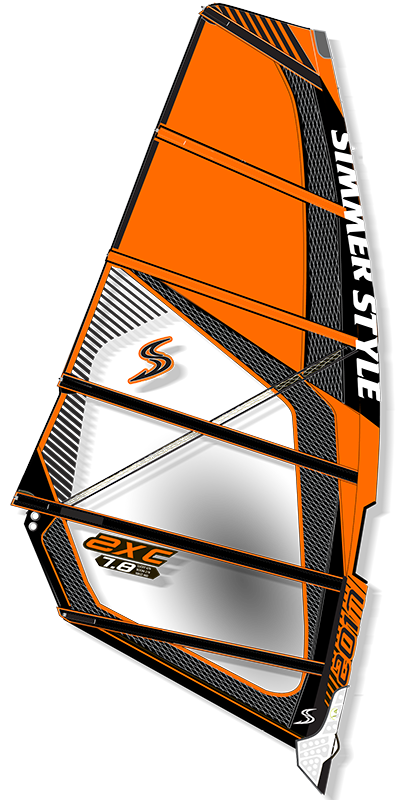 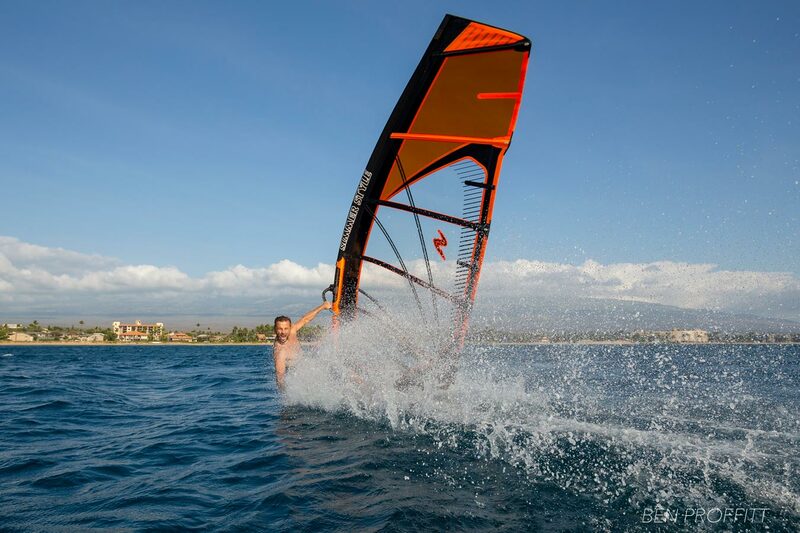 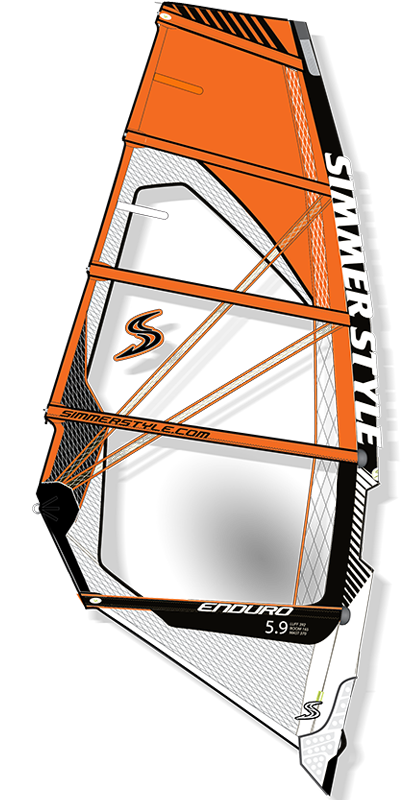 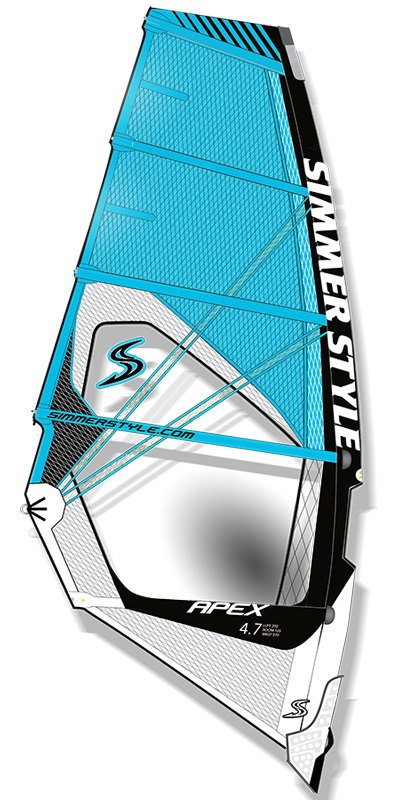 V-Max is the best choice for the sailor who wants a light-weight, cam free, manuever-oriented freerace sail. 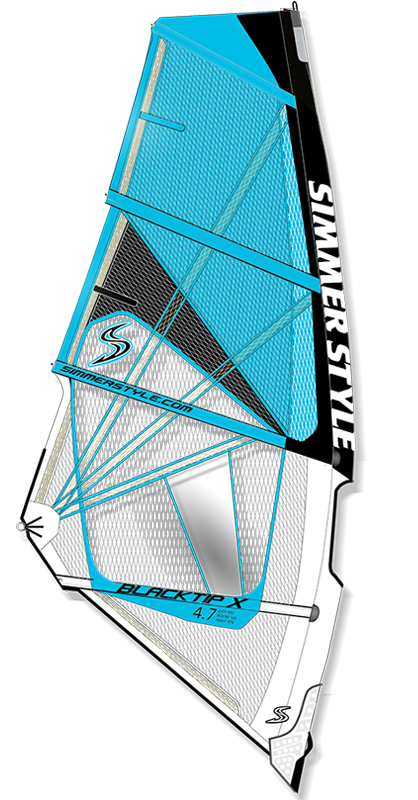 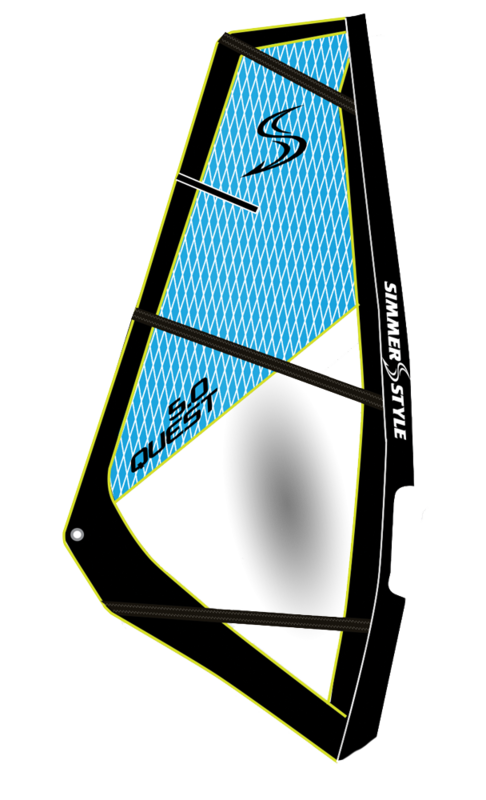 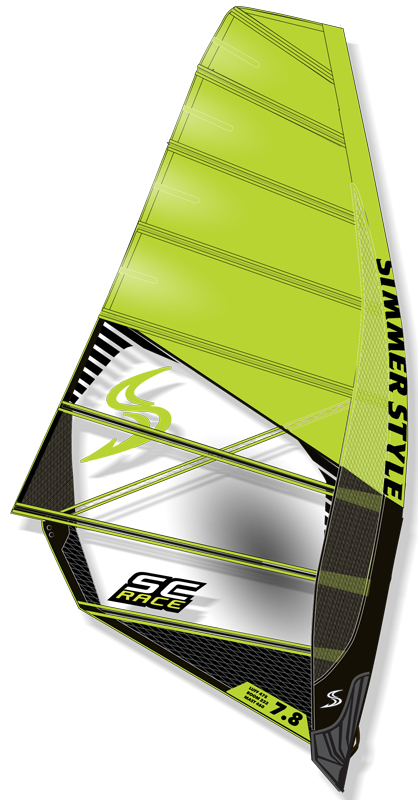 - Light-weight, cam free, maneuver-oriented freerace sail.